We’re not there yet… March is a limbo month: the winter snows have gone but the new grass and the colours of Spring are still waiting below ground, waiting waiting for the sun to warm the earth and give the signal to begin the growing season. But soon, soon! My new book, Fericita in Transilvania: drumul din Liverpool in Carpati, will be published by Editura All in mid-November. All about my life in Magura – how and why I came here, and why I’ve stayed – the book tells the story of why an English woman left a world-famous city for a remote mountain village in Romania. Follow the book blog to find out about the book launch, events, signings, talks, offers, competitions and more. 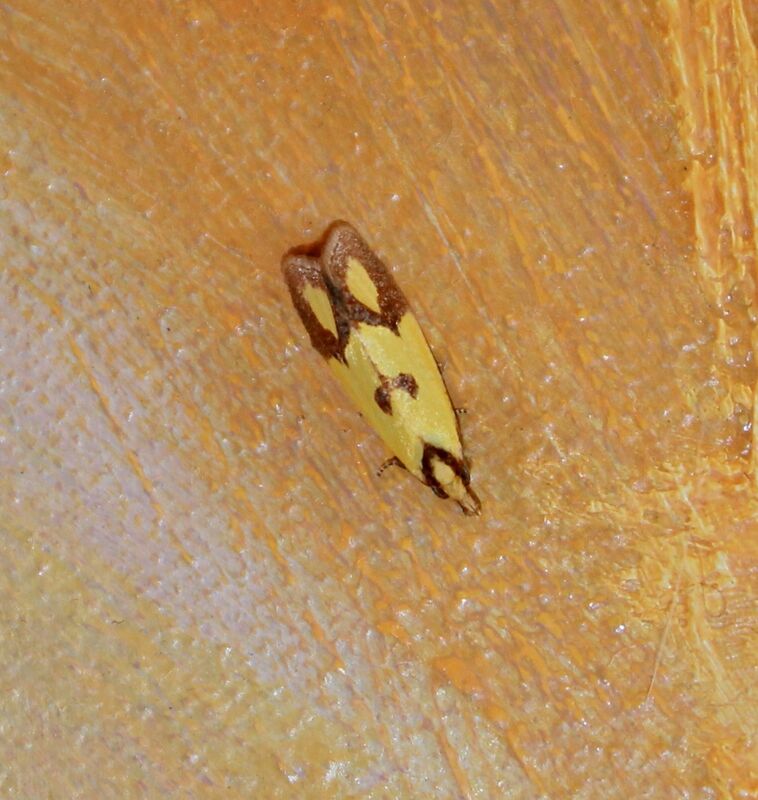 My adorable little moth with his perky panting dog face, has been identified. Professor Jim Hardie, Director of Science at the Royal Entomological Society in Britain, found him after much scratching of entomological heads, for which I am deeply grateful. Little dog-face is Agapeta zoegana, or the sulphur knapweed moth. The larvae eat through the roots of knapweed, so it is a boon to farmers with invasive varieties of knapweed (particularly in the USA where Dog-Face isn’t a natural resident). Moths are collected in early August and put to work on sites where knapweed is a positive pest. Here in Transylvania, where we have knapweed in healthy concentrations among the diverse wildflower meadows, Dog-Face can chomp through roots at leisure, stopping now and then for a photo opportunity in my kitchen. This little darling appeared on my kitchen window in Magura, and I need someone to tell me what it is. 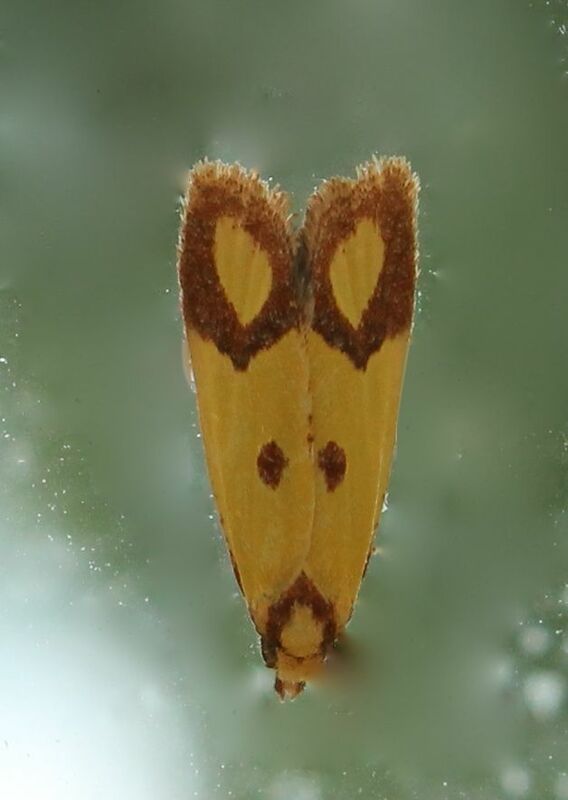 A moth, by the look of him, with his panting-dog mask. He’s about 1 cm long, and his small brown head looks like the dog’s tongue. Anyone know his name? Four cats took a big dose of power straight from the sun today (after three days of low cloud and freezing fog) and let rip in the snow of Magura. George, Hobbes, Buster and Mouse showed off their athletic skills and comic talent to an audience of one… before lunch and a snooze in front of the fire.